I am The Accelerator Guy. I work with and write about the most interesting startup accelerators, incubators, and prize programs in the world. 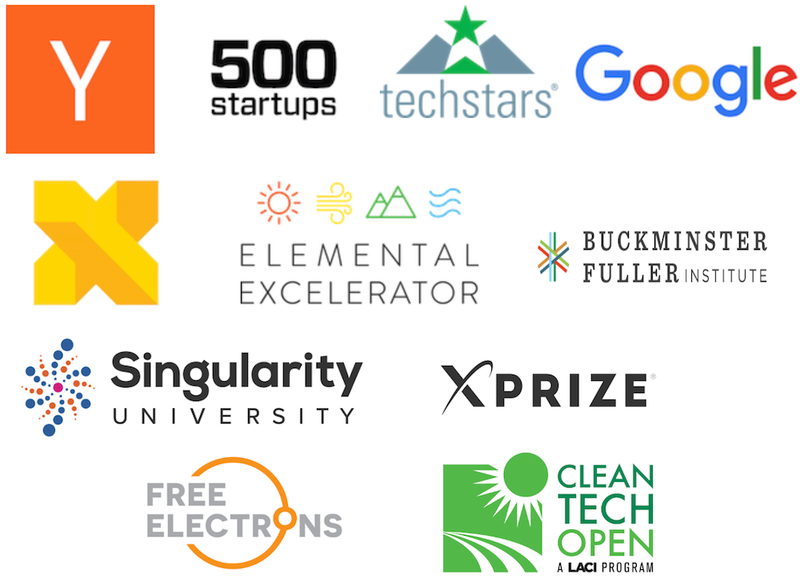 From US Navy-funded cleantech accelerators, to venture-funded clean meat programs, foundation-supported carbontech and oceantech programs and beyond, I consult, write about, and teach at top accelerators and the startups that they support. Why? Our world faces vexing problems, and startups and the ecosystems that support them are one of the best tools we have to address the issues of climate change, inequality, injustice, employment and beyond. Having been on all sides of both startups and accelerators, I have a unique perspective on what the industry is, what makes it tick, and where it’s headed. I’m the author of Accelerate This! A Super Not Boring Guide To Startup Accelerators And Clean Energy Entrepreneurship – a guide for entrepreneurs and accelerators to accelerate their own work. The book takes you behind the scenes of programs like Y Combinator, Techstars, 500 Startups, and over 70+ other programs from all over the world. The book is sponsored and endorsed by The World Bank, Asian Development Bank, World Wildlife Fund, New Energy Nexus and the California Clean Energy Fund. I leverage my experience and research to help design and run accelerator programs all over the world, and advise startups in a variety of industries. Can I help you accelerate? Want A Free Chapter Of My Book? Super! Leave Your Email & Organization And I’ll Send It To You!